It is always refreshing to see childhood imagination pop up in the most unlikely of places. Whether in the main stream or off the beaten path, a child’s growing mind will always flock to new opportunities to learn and explore wherever available. LEGO bricks, the popular pieces of stackable plastic that have entertained millions of children and adults alike the world around, are one of the best ways to boost that budding interest. 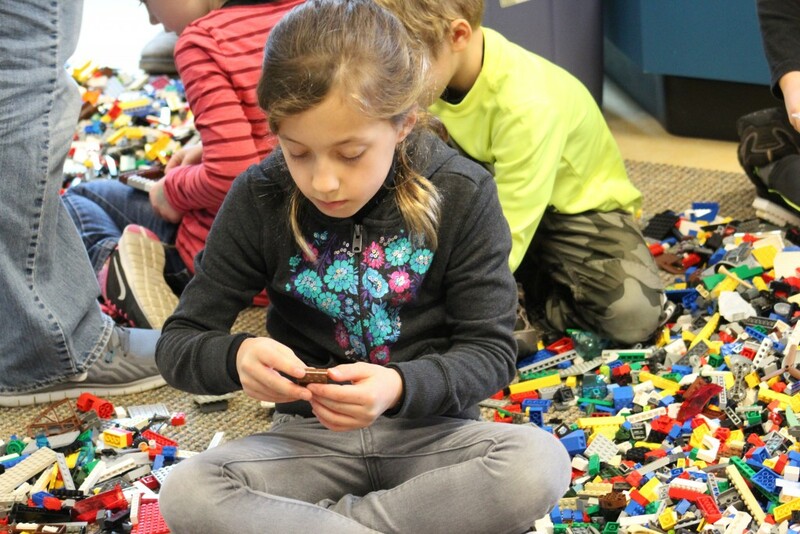 In recent years, programs supporting LEGO bricks and their many uses have cropped up around the United States, from Robotics Leagues in schools to enthusiast clubs and hobby groups for experienced builders. Navy STEM and STEM-H programs utilizing LEGOs are no different. The Navy’s commitment to these building blocks is bigger than ever. Indeed, if there is an outlet for education to “import,” young creative minds will undoubtedly “export” fun and learning. 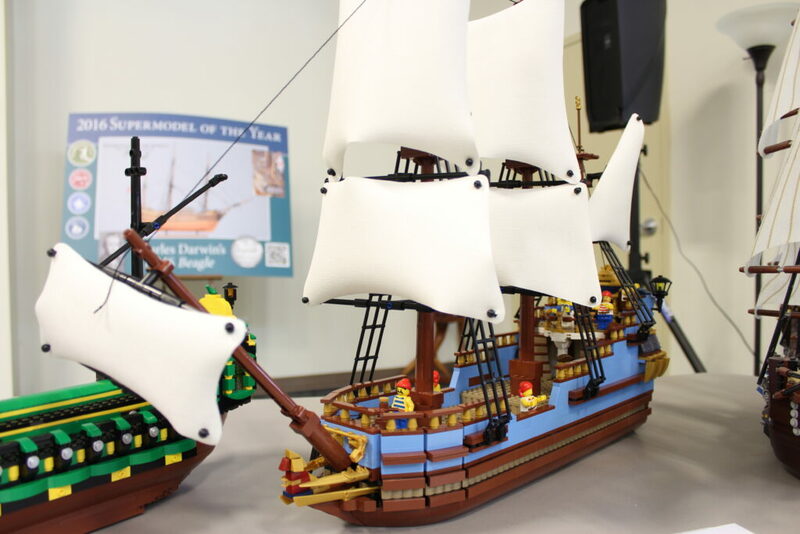 This past weekend, the Kalmar Nyckel Foundation debuted its first annual LEGO Shipbuilding Program in picturesque Wilmington, Delaware. Their inaugural event was based on the popular shipbuilding event held at the Hampton Roads Naval Museum (HRNM) in Norfolk, VA. Staff at HRNM helped “import” many of the buildable sets and instructions developed and used for their own annual event, including their large collection of over 30,000 “free play” bricks. 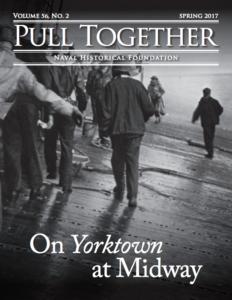 The event proved to be a great success for both the Kalmar Nyckel Foundation and the Hampton Roads Naval Museum. Nearly 250 people came to the event, which elated staff at Kalmar Nyckel. It is more than a great start for an organization whose location may have been hidden to the local population. The hope is that more families will be interested in future events and build up credibility through word of mouth and social media. Sam Heed, Director of Education and Senior Historian at the Kalmar Nyckel Foundation, wanted to bring the skills and expertise of HRNM educators up to Delaware to help their Foundation receive higher visibility and to showcase their excellent facility and budding educational programs. As evident by the hundreds of individuals to came to the Wilmington waterfront last Saturday, creativity knows no geography. As HRNM Deputy Education Director Laura Orr suggested at the event last Saturday, their shipbuilding program is the perfect import to any maritime or naval museum. 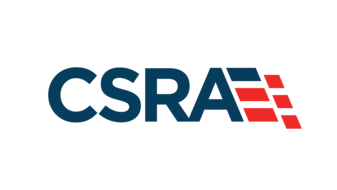 “This is the first time we have used the basis of the program we have developed at HRNM at another location outside of Hampton Roads,” said Orr. “We hope this provides a model for future collaboration with other maritime or naval museums.” The dedicated team at HRNM continues to develop new ships and models for their competition every year. No longer are they simply using graph paper and colored pencils to design ships. The process is now completely streamlined and digitized. The creativity never stops, and Sam Heed and Kalmar Nyckel was smart enough to pick up on that when at the 2015 LEGO Shipbuilding event in Norfolk. Sam mentioned that he knew he had to have something like it for his location. The gamble paid off, and his Foundation has the honor of being the programs first satellite success story. Like the event down in Virginia, there was a shipbuilding contest for participants to enter. Ingenuity was on full display for ships built at home and on site. The entries in Delaware were no different both in level of creativity and smartness of design from those in past Norfolk events. Several of the designs in the 17+ category was built in the exact likeness of the Kalmar Nyckel docked only feet away from the building. One of the volunteers pointed out how one ship went so detailed as to use LEGOs to display the ship’s famous “angel faces” depicting Delaware’s elected officials and benefactors. The greatest moment of the day by far came from the excited face of Sam Heed himself. For most of the day, he looked like a kid in a candy store. He commented on several occasions how excited he was to bring an event like this to Delaware, and how much he is looking forward to future events to build on this year’s momentum. 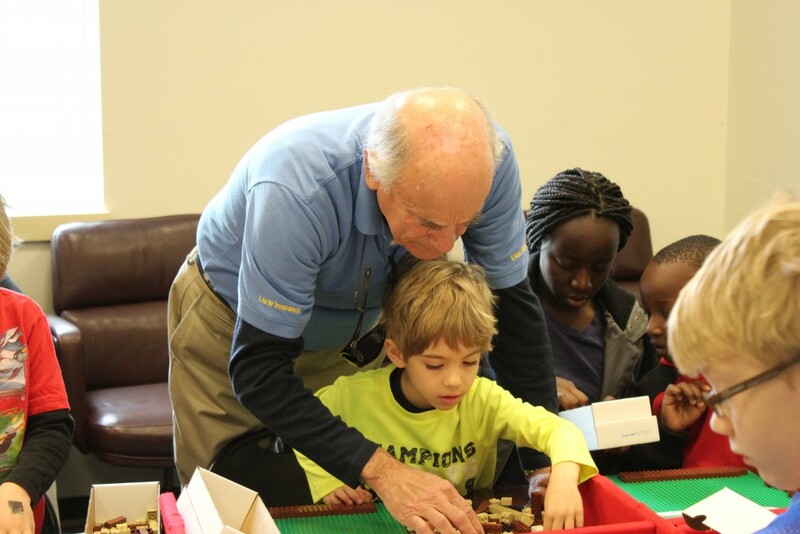 “It’s not everybody you get to build a battleship,” he told a group of young builders piecing together Battleship Wisconsin. 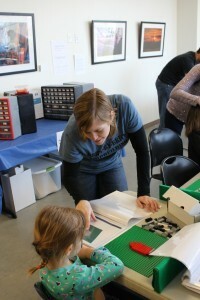 Look for future events at the Kalmar Nyckel Foundation to highlight LEGO and STEM initiatives. As for Laura Orr, she will be returning to the Kalmar Nyckel Foundation next month to speak about their success with the LEGO Shipbuilding program at this year’s Council of American Maritime Museums (CAMM) Conference. We look forward to hearing more about the “import and export” of both the Hampton Roads Naval Museum and Kalmar Nyckel’s respective programs. A special thanks to the staff and volunteers at the Kalmar Nyckel Foundation and the educators of the Hampton Roads Naval Museum. Thanks for attending, Matt. We appreciate your interest & support! Do you have a 2017 date? We loved this event and are already brainstorming our next build. The date is 4 February. We look forward to it! This was such a fun day! There was so much for the kids to do, and my favorite part was the fact that there was enough to keep each of my kids entertained. Usually my big kids will enjoy something and my little one will be bored and fussy and want to leave, or events will be geared towards my youngest, and her siblings will be bored. I was thrilled that they all wanted to stay the whole day! It was both fun and education…the best of both worlds! The volunteers were all wonderful and helpful! We can’t wait for the next one!